Hell.yes. It's the weekend and its AUGUST! Which means we're that much closer to AUTUMN, cooler weather, sweaters, boots, pumpkins, leaves... shall I keep going?! And I'm linking up again today with some awesome blogs, including Carolina Charm.. Yay! I was trying to decide what I wanted to share this week, my notepad is full of ideas.. but I think I'll go with some random favorites for this week! I cannot.contain.my.excitement about finding this in the store this week. Sam Adams changes their beers slightly each year, and let me tell you, the Harvest Pumpkin Ale is fantastic this time around. Its the only one I've tried so far but I've got my eye on some of the others in this collection. I'm talking about you, Ruby Mild and Octoberfest. Disappointed that my local Annie Sloan Chalk Paint stockist didn't have Old White in stock, but at least I got some items I needed. I'm waiting on them to call today about the shipment that might include some Old White, otherwise I'm making a trek to another stockist on the other side of the city. I'm determined to get this dresser painted this weekend! Stay tuned for some DIY projects coming this way soon! Have you seen JewelIQ? If you haven't, check them out! I've ordered several pieces from them and I love them all! They look very similar to J. Crew necklaces that I love, they're great quality, no piece is over $25 and they offer free shipping. 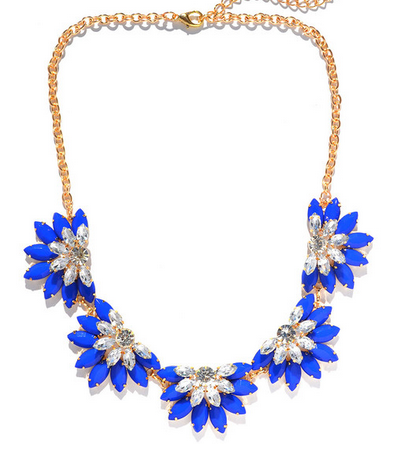 I'm loving this Blue Daisy necklace, which will go great with my gameday attire this Fall. Go Gators! You may have seen this on my Instagram... This little pup's fur is a hot.mess in this photo and she is totally starting to look like an Ewok. A super cute Ewok, that is. She is getting groomed today, hopefully they do a little better than last time when mama had to fix some crooked ear fur! obsessed with blurred lines. it always puts me in the best mood! have a great weekend! I love Annie Sloane!!! That paint can do magic on just about any piece of furniture! I've never heard of JewelQ, so I've got to check them out. Something that doesn't kill my budget is welcomed! :) Have a great weekend! I'm finding that the Old White color from Annie Sloan gets sold out quickly, so I have to wait until next week to try it out.. boo! So glad to hear it works so well though, its got to be worth it for that price! Hope you like JewelIQ, I check it multiple times a week and have to keep myself from buying things.. haha! 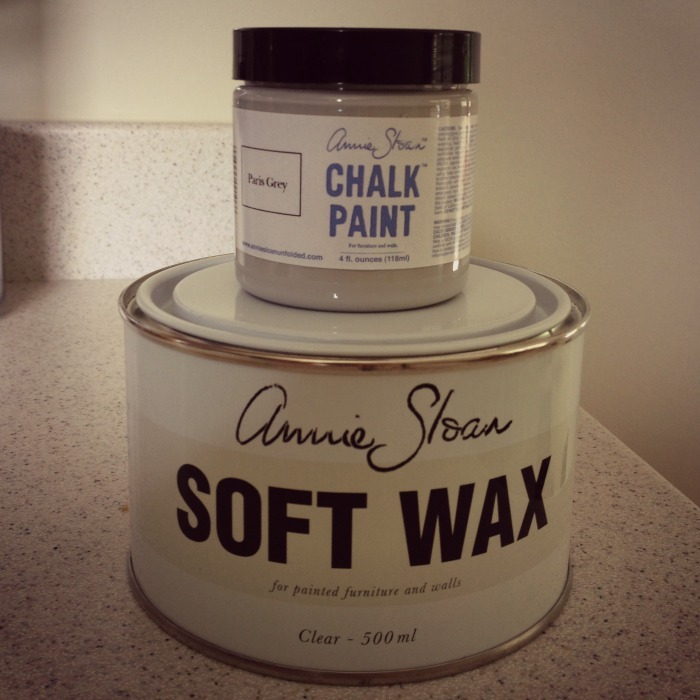 I am dying to try that chalk paint, I can't wait to see how it turns out! Have a good weekend! Ah me too, I'm so mad I can't get my hands on "Old White" yet! I tried a little of the Paris Grey on a chair today and it looked awesome with just one coat. Yay! Will definitely post about it once the dresser is done! That chalk paint has been on my to do list for forever!!!! I hope you like it! So far its great! I've only tried a little since I'm waiting on another color, but who wouldn't be happy to ditch all the sanding and priming!? Maybe I'm just lazy.. oh well! haha! That Mild "Ruby" beer is perfect for you! Hubby and me love trying out the autumn sampler packs when they come out. Good luck on finding your paint! I was thinking that too about the Ruby Mild beer! We love the sampler packs too, have you ever gone to World Market? We buy the beers separately there to try them all and I think I had about 10 different pumpkin ales last year! haha! Oh, I want to try that Harvest Collection! And your dog is adorable! Ohhh I can't wait to see the dresser painted! I've heard such good things about that paint. Thanks Sarah.. me too actually!! haha! Hopefully I'll work on it this week and have it on the blog by next week! Blurred lines is my fav summer song! ha! Aw bummer!! I bet you could use the Chalk Paint over it and it would be perfect! I've heard you can't really screw up chalk paint, but I'll be the judge of that.. Lol! I love blurred lines! I agree the video is very strange and Robin Thicke was on The View today and they asked him why he made such a racey video and he said because it was just a fun summer song. I think we all know he made it because he knew it would be controversial and make more $$! I'll definitely be checking out JewellQ. I'm always looking for pretty non expensive necklaces! Your dog Ruby is too cute! found you on the linkup, and i love you blog! i agree, bring on fall and all the wonderful pumpkin flavors that come along with it! your dog is too sweet, i'm sure she will feel like a brand new pup after her visit to the groomer :-) and can i just say... i love vampire weekend, and i love blurred lines. it doesn't get much better than that! happy friday!